Professor Suzanne Stewart is transforming research in Indigenous mental health and homelessness in Canada. The rate of homelessness for First Nations, Metis and Inuit people is higher than that of the general Canadian population, and Stewart says there has been a dearth of culturally relevant research to adequately address the needs of Indigenous people. Her team is launching a project to update research protocols and guidelines through ethical, community-based research. The team will work in consultation with an Indigenous community steering committee to help guide the process. Stewart says her research is already being used to rewrite policies around Indigenous health care delivery at the municipal, provincial and federal levels. 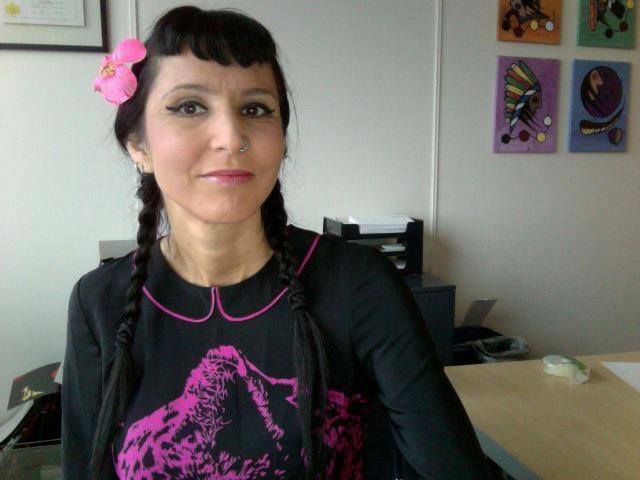 She is also helping to develop a new homeless shelter in Toronto for Indigenous women. 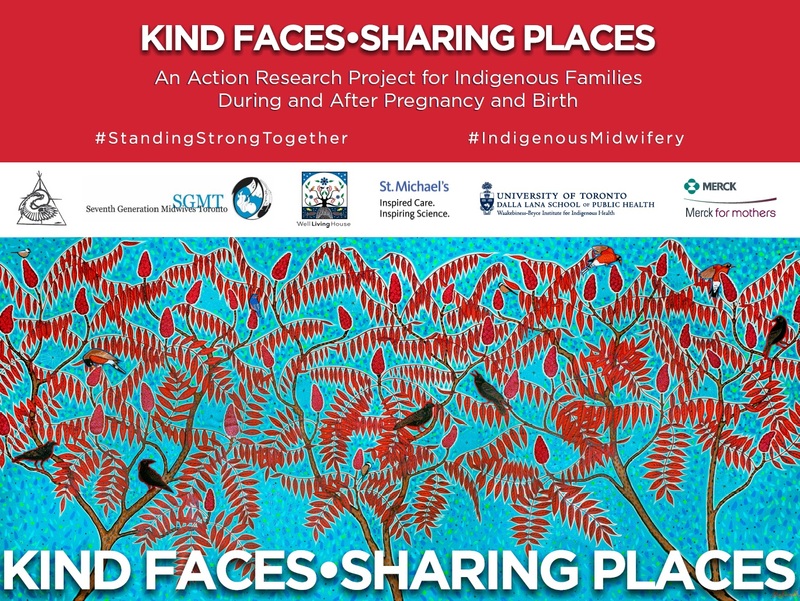 The “Kind Faces Sharing Places: An Action Research Project for Indigenous Families During and After Pregnancy and Birth” project will aim to address some of the social determinants of health and break the multi-generational impacts of family disruption in Toronto. 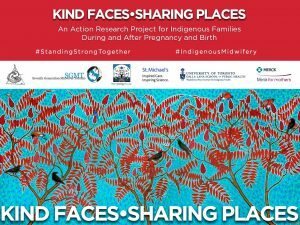 This project is supported by a $2.6 million grant from Merck Canada Inc. through its Merck for Mothers program, a 10-year, $500-million initiative with a focus on improving the health and well-being of mothers during pregnancy and childbirth. First Nations communities in Northern Ontario near the Manitoba and U.S. borders have for years claimed their members have high rates of cancer. In fall 2015, researchers at the Waakebiness-Bryce Institute for Indigenous Health, with Indigenous partners in the area, began investigate those claims. The research team will determine if cancer rates among the Northwest Angle 33 First Nation and surrounding bands are elevated and environmentally linked. Health Canada has provided $200,000 to fund the first phase of the study, which is led by Professor Howard Hu, Dean of the Dalla Lana School of Public Health. Dr. Harold Schwartz is the program manager with the First Nations and Inuit Health Branch of Health Canada, responsible for environmental contaminants programs in First Nations communities. In May 2015, Dr. Schwartz contacted Professor Hu about a study of cancer incidence and potential environmental links among members of Northwest Angle 33. Many members of the band have voiced concern about cancer in their community. Media outlets have covered the bands concerns and found poor environmental conditions in the community. One media report based on the band’s office numbers showed that 17 of the 20 people left on the reserve were receiving treatment for cancer. Professor Hu’s team includes researchers from the Waakebiness-Bryce Institute for Indigenous Health, the Dalla Lana School of Public Health, Cancer Care Ontario, Environment Canada, Public Health Ontario and St. Michael’s Hospital, in partnership with the Kenora Chiefs Advisory. The study group brings expertise in environmental health, nutrition sciences, cancer epidemiology, biostatistics, Indigenous health research, social and behavioural health sciences, field epidemiology research and other fields important for the project’s success. The researchers plan to conduct the study in two phases over two to three years. In the first phase, they will look at existing data to see if cancer rates in the First Nations communities are elevated. In the second phase, contingent on further funding, they will study specific populations through focus groups, pilot studies and data analysis. The broad goal of phase two is to explore links between cancer and exposure to particular carcinogens. Build a strong collaboration with participating First Nations communities. Identify, geolocate, and characterize these First Nations communities. Conduct an epidemiologic study using cancer registry and census data. Conduct a rigorous review of existing data on environmental exposures. Conduct outreach and communication to fully share Phase One results with the communities of interest; partner with the community to plan Phase Two. Use focus groups and pilot studies to develop and test protocols. Use information from the focus groups and pilot studies to optimize protocols and conduct a full-scale population-based study of individuals in the communities and populations of interest. Data analysis: explore associations between exposure to selected carcinogens and prevalence of cancer or cancer biomarkers. Conduct a robust and partnered community outreach and education initiative to interpret and communicate all results with the communities of interest. Building from an Anishinabe concept, Mno Nimkodadding Geegi (translation: “we are all connected”), the fundamental philosophy guiding our proposed Central Region IMNP is our steadfast commitment to sustaining and expanding a comprehensive community of Indigenous health trainees and researchers, and at the same time, serving the research and capacity development needs of Indigenous communities themselves. This project was successfully funded by a $20,000 CIHR training grant to develop an Indigenous Mentorship Network Program (IMNP). The grant is for a duration of 1 year (March 2016-February 2017) to support meetings to develop the IMNP. Building from an Anishinabe concept, Mno Nimkodadding Geegi (translation: “we are all connected”), the fundamental philosophy guiding our proposed Central Region IMNP is our steadfast commitment to sustaining and expanding a comprehensive community of Indigenous health trainees and researchers, and at the same time, serving the research and capacity development needs of Indigenous communities themselves. Nested within an innovative paradigm that prioritizes community-based approaches to Indigenous health, the purpose of our IMNP is to provide Indigenous health scholars and trainees with high quality integrated mentorship, training, and unique opportunities to participate in Indigenous health research innovation. Our action plan encompasses a strategy that will support activities focused on networking, research skills development and capacity building as well as research innovation. Our Network team is composed of a wide range of scholars, practitioners, trainees, and community collaborators from across Ontario and Quebec. Representing some of Canada’s most promising and renowned scholars, the strength of our team lies in a diverse representation of academic rankings, disciplines, skills and methodologies that span across the four research pillars of the Canadian Institutes of Health Research – clinical, biomedical, health services and delivery, and the socio-cultural/environmental – as they are applied to Indigenous research. We believe that the key to the success of this IMNP will come from fostering community-based strategies that highlight our interdisciplinary strengths, regional variation, and devotion to reducing Indigenous health inequity. Within the applied health research context, we see this integrated, collaborative approach as one that will respond meaningfully to the Truth and Reconciliation Commission’s ‘Calls to Action’. Dr. Chantelle Richmond at the Western University is the Nominated Principal Investigator. The grant include principal investigators from Trent University, Queen’s University, University of Ottawa, Wilfred Laurier University, University of Guelph, Western University, Laval University, Laurentian University, Lakehead University and the Kahnawake Schools. There are 13 principal investigators and 25 co-investigators including Indigenous trainees. Several investigators affiliated with the University of Toronto are investigators on the project. Earl Nowgesic is a co-investigator of the project; Anita Benoit is a principal investigator; and Amanda Sheppard is a co-investigator. Associate Professor Janet Smylie, Director of Well-Living House at St. Michael’s Hospital, is a principal investigator on the project and Assistant Professor Michelle Firestone from Well-Living House is a co-investigator. Recent University of Toronto graduate Angela Mashford-Pringle is also a co-investigator. This study will examine the impacts, if any, of police involvement on forensic evaluation and health care use at sexual assault and domestic violence treatment programs and build on existing knowledge about sexual assault survivors who are Indigenous women and girls and how they might differ from non-Indigenous survivors.